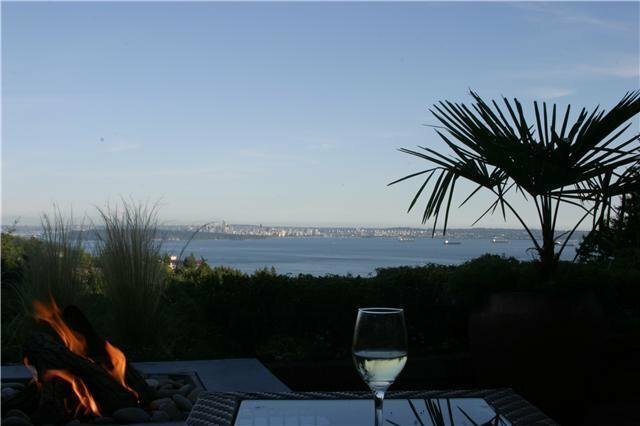 Panoramic unobstructed city and ocean views. No wires, no roof tops! Fantastic value for over 3700 sq ft, 4 bedrooms, 4 bathrooms and amazing VIEWS! Updated kitchen and bathrooms, new windows, 4 fireplaces. Large sun filled patios facing the views. Easy walking distance to shopping and Rockridge school. 2 car garage. This is a row home, not strata - NO STRATA FEES.